Save $20 with academic pricing. AppleCare+ for iPad extends your coverage to two years from the original purchase date of your iPad and adds up to two incidents of accidental damage coverage, each subject to a $49 service fee plus applicable tax. In addition, you’ll get 24/7 priority access to Apple experts via chat or phone. 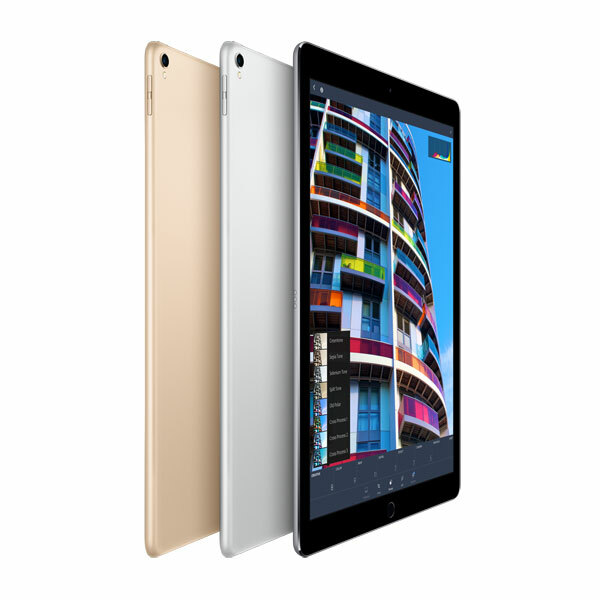 When using the iPad and iPad Pro, there may be moments when you want even greater precision. So we painstakingly designed Apple Pencil to expand on the versatility of Multi-Touch. And while the technology inside is unlike anything we've ever engineered, picking up Apple Pencil for the first time feels instantly familiar. It lets you make any number of effects, right down to a single pixel, giving you more creative freedom than ever before. The new Smart Keyboard completely reimagines this centuries‑old invention to add even more flexibility to iPad Pro. With new technologies that free you from switches, plugs, and even pairing, the Smart Keyboard is the perfect blend of full‑size utility and outstanding portability. Easy to use. Even easier to take with you. Simply unfold the Smart Keyboard when you need it. When you don't, fold it up and it becomes a slim, lightweight cover for iPad Pro. The elegant design is also durable, so it can withstand everyday use. And your 23rd draft. Your words matter, so we protect each letter. The letters and numbers may be the same, but everything else about the Smart Keyboard is completely new. Its top layer is crafted from a sheet of highly durable custom-woven fabric that's laser ablated to form the shape of each key. The fabric also provides the spring-like tension for each key, eliminating the need for conventional mechanisms. So the Smart Keyboard is just 4 mm thin while providing the accuracy, stability, and satisfying key feel you expect. 64 seamless keys. Unlike traditional keyboards, it's coated in a water‑ and stain‑resistant finish, so the Smart Keyboard is resistant to stains and spilling. No plugs. No switches. No pairing. The Smart Connector is a new Apple‑designed interface that allows seamless communication between the Smart Keyboard and iPad Pro. You'll find it on the connecting edge of the Smart Keyboard as well as on the side of iPad Pro. The Smart Connector works hand in hand with the conductive fabric inside the Smart Keyboard to allow for a two‑way exchange of power and data.